It is pretty obvious that my family and I enjoy camping, hiking, and most especially National Parks. This is actually a life long love for me that I've passed on to my children. 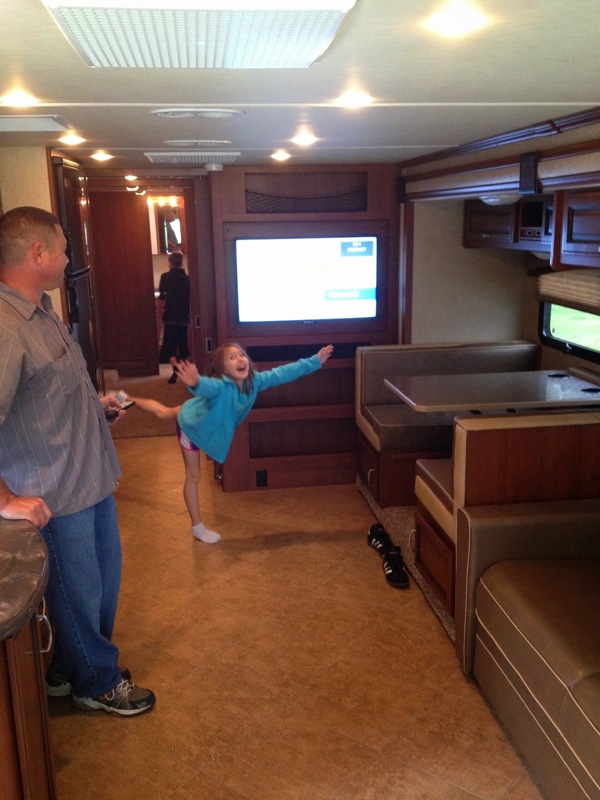 Enjoying these parks can come in a variety of fun from tenting to giant diesel RVs. 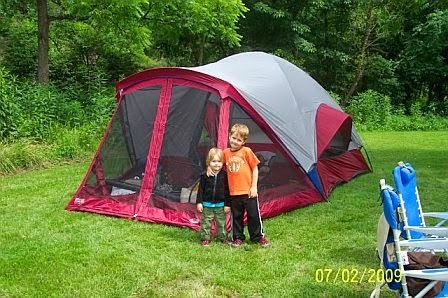 This weekend, we invested in our camping pleasure. Please allow me to introduce The Big Montana. We started this camping adventure cycle when we lived in Hawaii. While Hurricane Katrina was happening, we stayed in a pleasant cabin right on the North Shore of Oahu. We grilled and listened to the waves all night away from the hustle and bustle of Honolulu. My first born was hooked at 2 years old! When we arrived in Virginia, we knew that Shenandoah National Park was spectacularly close. We purchased a tent. There were many wonderful trips in that zippered home until we got completely rained out one weekend up in the mountains. That wasn't the most fun. At that point, I think my beloved started eyeing pop-up trailers. He got motivated one summer and we acquisitioned the Pop Tart. 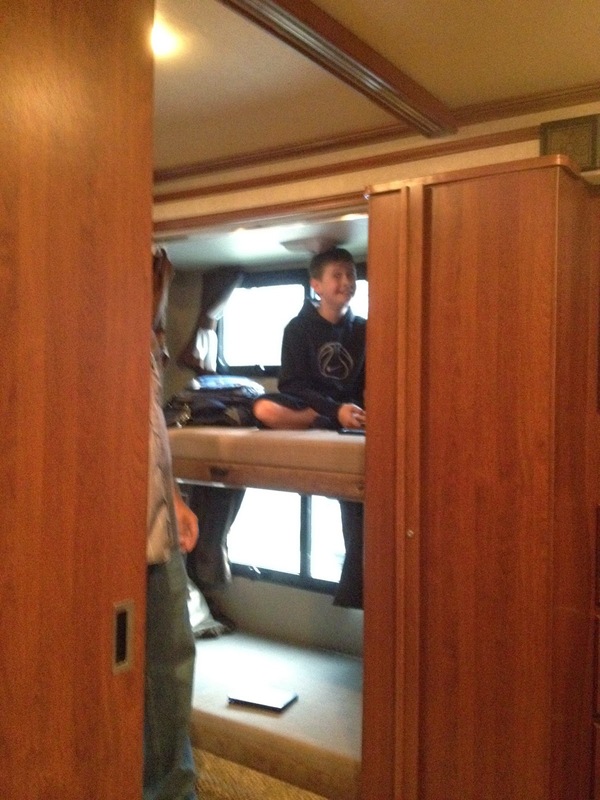 It was a great trailer and we really enjoyed the camping that we did in the short time that we owned it. On the way to Louisiana, however we discovered that the heat in a tent on wheels was almost as un-fun as that rainy weekend in the mountains. Plus trying to keep humidity out of a trailer that is uncovered in this swampy, green house we call home was a task we didn't really want to tackle. 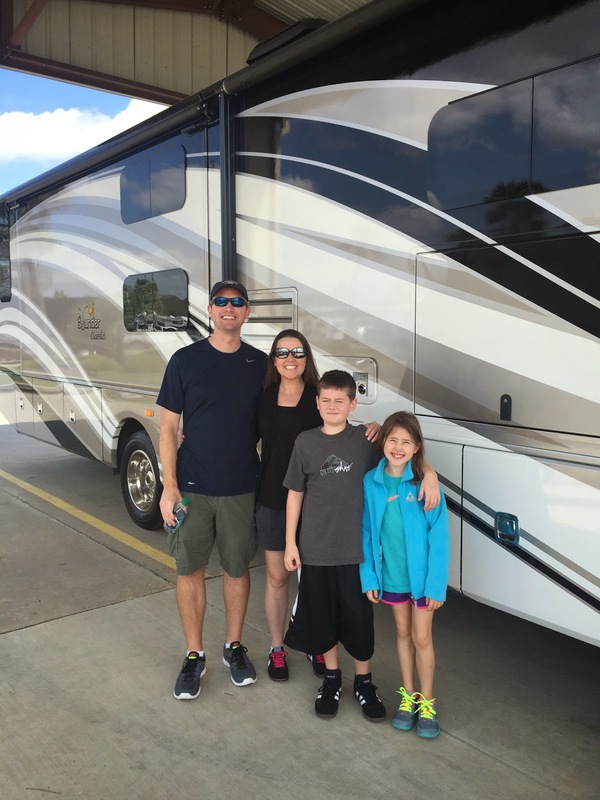 This past weekend we skipped a few steps in the upgrade chain that RV people like to participate in. We bought 'The Big Montana'. 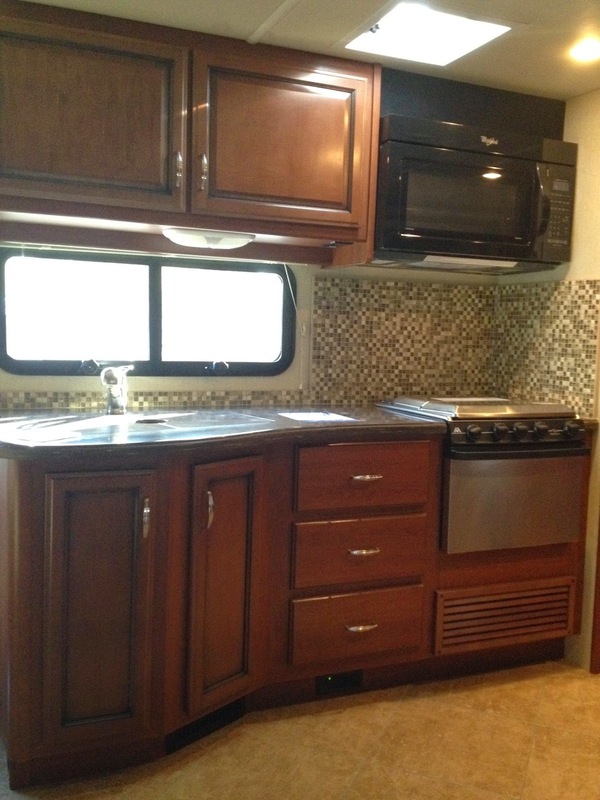 It is a 38 foot Fleetwood Motorcoach. 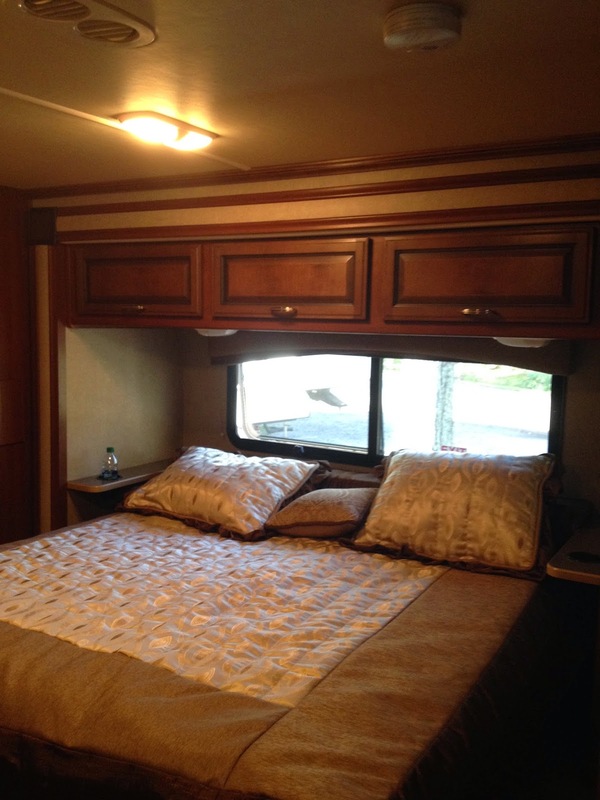 It is luxurious and it has taken us out of our sleeping bags and into "glamping" mode. We have wanted to see Yellowstone for awhile. You either stay in a cabin at this gigantic park, or you RV. There are many campgrounds that don't even allow pop ups for fear of bears trying to curl up next to you. This is a big reason for us finding our new "land yacht". I can hardly wait to show you some of our new adventures. This summer should bring some great fun! Now I just have to be comfortable driving.